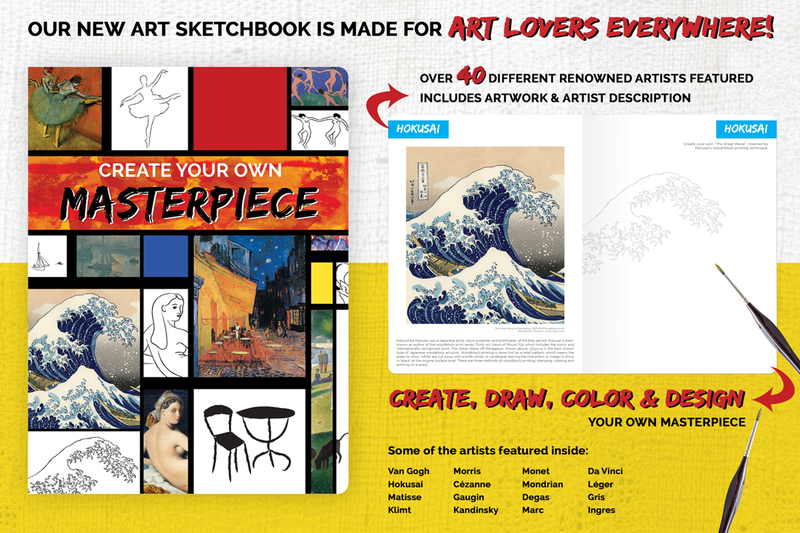 Our new art sketchbook is made for art lovers everywhere! 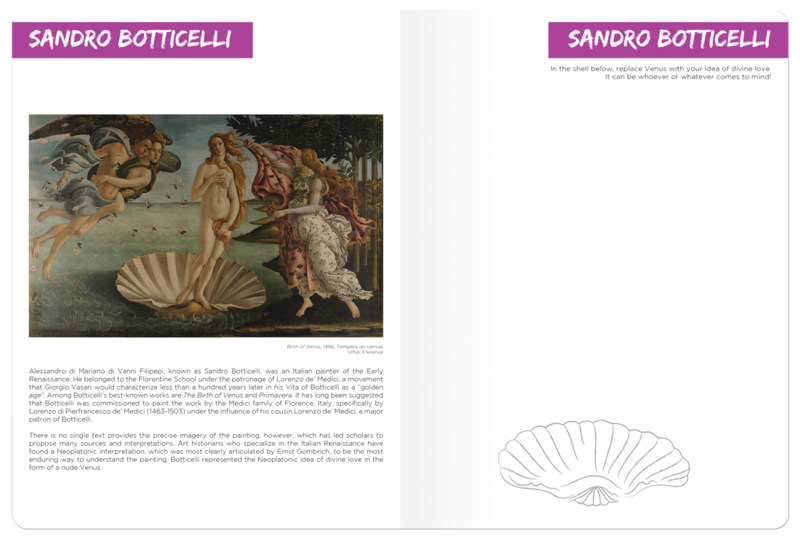 Inside you will find famous works from over 40 different renowned artists. 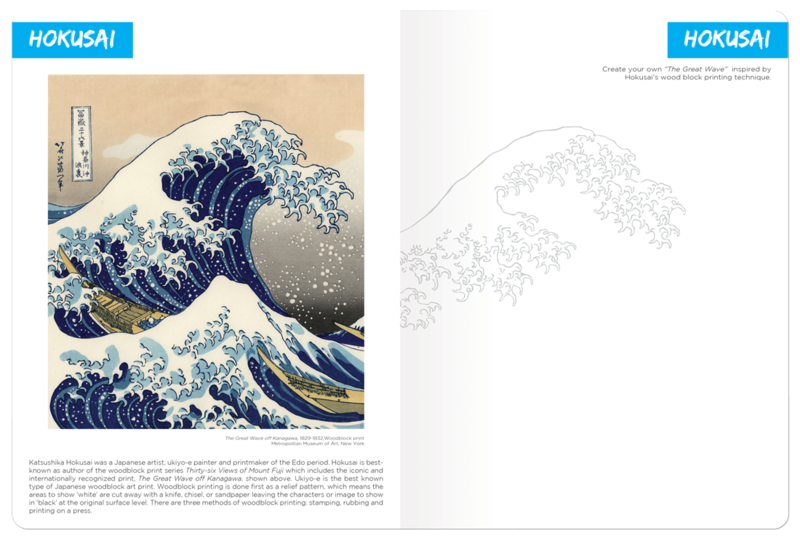 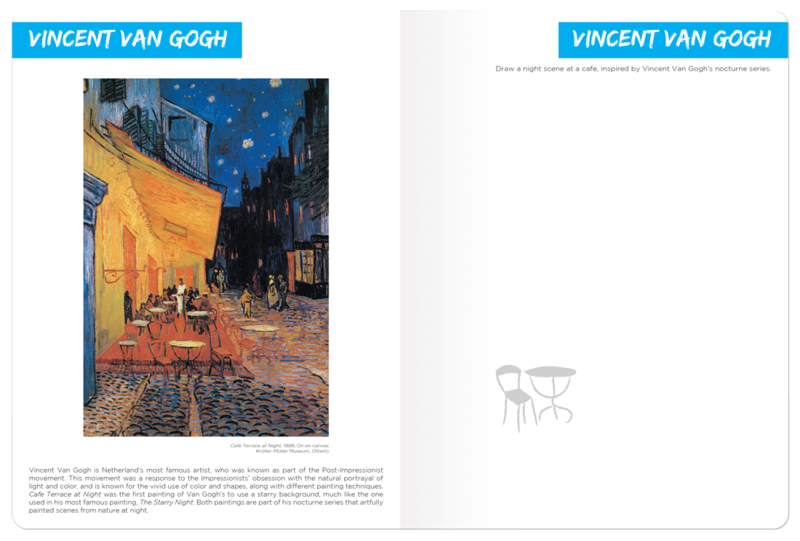 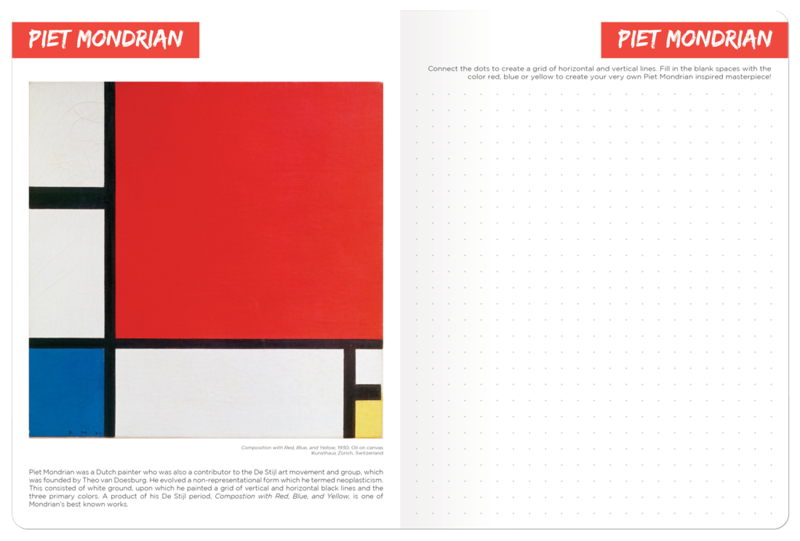 On the left side of the book is a description of one of the world’s greatest artists and their signature style. 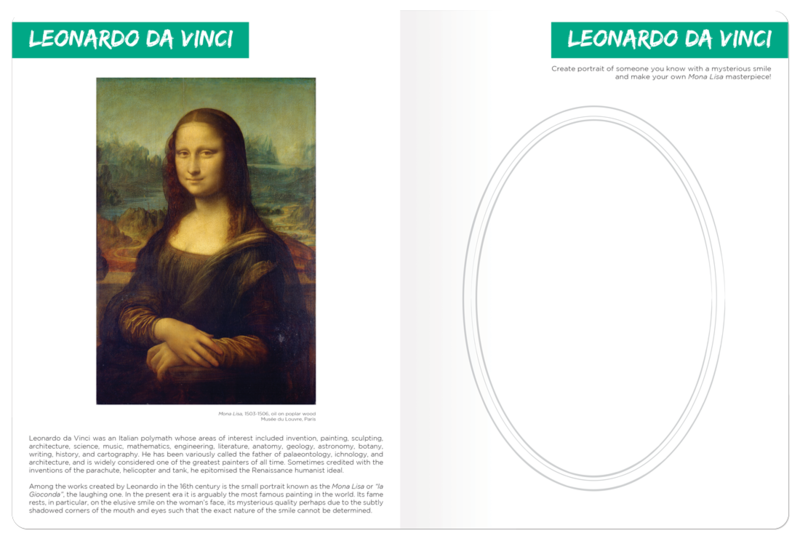 On the facing page on the right is a guided activity where you can draw, sketch, color and design your own masterpiece inspired by the artist on the left. 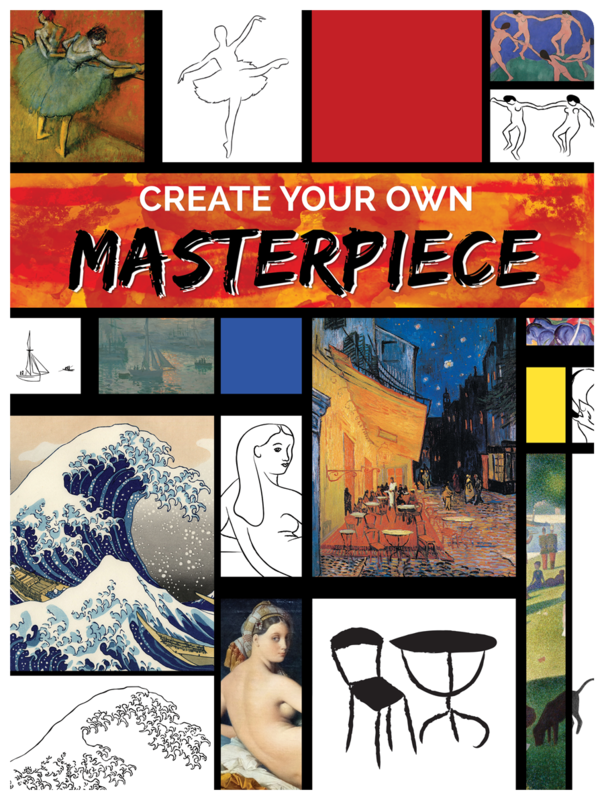 Create Your Own Masterpiece is ideal for students or artists of any age or skill level, this book will help you learn more about your favorite artists, tap into your creativity and develop new techniques!